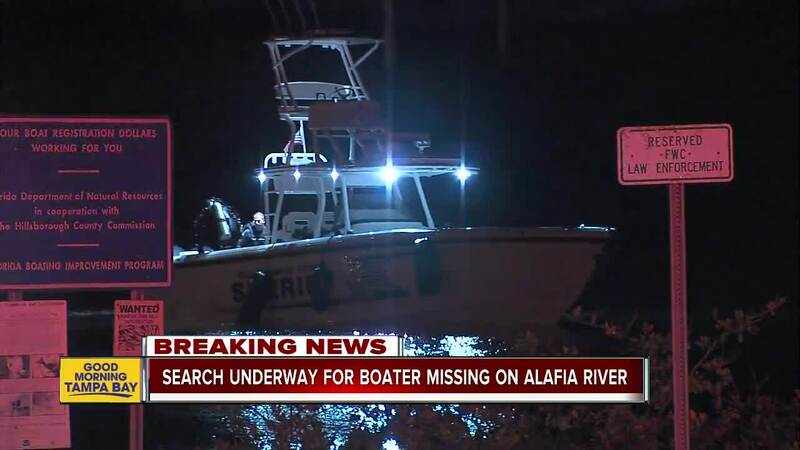 GIBSONTON, Fla. — The desperate search for a missing boater who disappeared into the waters of the Alafia River early Monday morning has been called off. 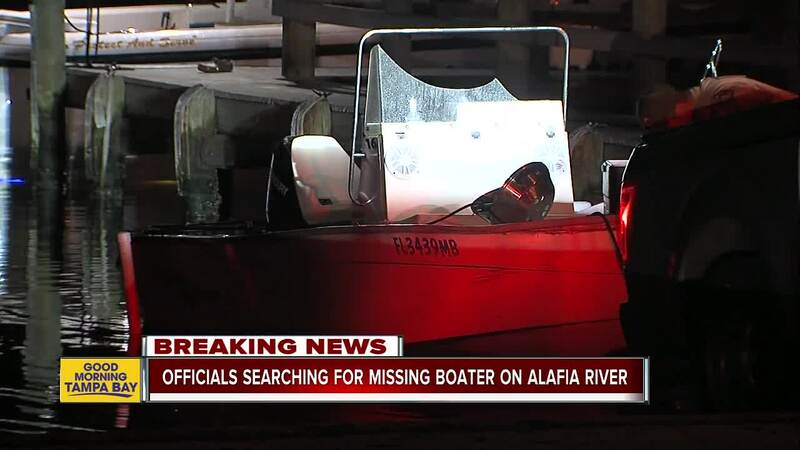 Florida Fish and Wildlife officials found the body of the missing boater shortly before 9:30 a.m.
Officials said two men and a boy were onboard a boat when one of the men disappeared into the water. The accident happened at the Williams Park Boat Ramp, located in Gibsonton near US 41 and Riverview Drive. FWC has not confirmed what led to the incident, however, the vessel appeared to have substantial damage to the windshield. Investigators were spotted on scene taking several pictures of the damage. The other man onboard and the boy are okay, according to FWC. The boy was transported to Tampa General Hospital with minor injuries. The names of everyone onboard have not yet been released.